Bio-Clear™ LQ is a blend of warm and cold water strains of naturally occurring beneficial bacteria and microorganisms. Bio-Clear™ LQ consumes suspended organic debris and pond muck, leaving your pond clean and clear. * Apply once per month to ponds with an aerator or fountain. * Apply every other week to non aerated ponds. Shake well before use. Mix product in separate container with pond water. Apply in multiple spots around shoreline. 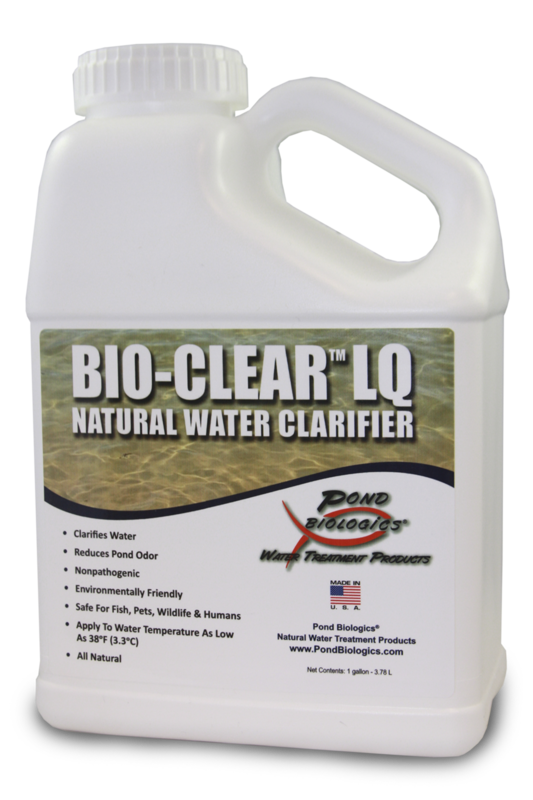 Bio-Clear™LQ will spread throughout the water body on its own, attacking organic debris and pond muck.